Livingstone is pleased to share it has named Andy Bozzelli, Ryan Buckley and Karl Freimuth as partners in the firm’s U.S. office. Before this appointment, the three bankers served as managing directors at Livingstone for a combined total of 26 years. 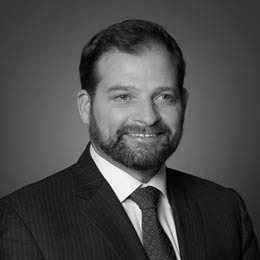 Bozzelli joined the firm in 2010 and has focused on the firm’s media, technology and security sectors, while leading other transactions across the firm’s industrial, consumer, distribution and healthcare sectors. He has more than 10 years of transaction and financial advisory experience, including cross-border sell-side and buy-side M&A, equity and debt capital raising, and special situations, such as Section 363 and Article 9 sales. Additionally, Bozzelli is a member of Livingstone’s U.S. board of directors. Buckley joined the firm at its inception in 2007 and specializes in M&A across the firm’s consumer and healthcare practices, with expertise in multi-unit outpatient physical therapy providers, physician practice management, and outsourced services. He has 12 years of M&A, capital raising and restructuring experience across a wide variety of industries. Further, Buckley sits on Livingstone’s International board of directors. Freimuth joined Livingstone in 2007 and is co-head of Livingstone’s U.S. industrial practice, with transaction expertise in electrical-power equipment, precision machining, capital equipment, niche manufacturing, and commercial and industrial services. He has 14 years of experience advising domestic and international midmarket companies on M&A transactions, debt and equity capital raises, and financial restructurings. Additionally, Livingstone announced several promotions in Europe. In the U.K., Barry Sheehan was promoted to director and Will Evans and Tom Reece were named associates. In Germany, Johannes Faber was promoted to director. Sheehan joined Livingstone in 2014 from Deloitte and has advised on a broad range of transactions. He works across the firm’s business services and industrial sectors and is widely respected for his knowledge and network within the packaging sector. Evans has dedicated his time to Livingstone’s business services sector since joining from Deloitte in 2015. He has completed several transactions during his brief tenure with the firm. Reece joined Livingstone in 2016 from KPMG and works with the firm’s industrial sector team. Faber joined Livingstone in 2009 and has amassed transaction expertise in a variety of sectors, including Automotive, Business Services, Consumer Products, Engineered Products and Information Technology. His multi-sector experience has resulted in invaluable insights into a variety of transactions. Livingstone announces promotions of three tenured Chicago professionals and several key personnel moves across the globe.